After joining the gym at age 15, I began thinking that I was able to eat more of the food I wanted to, as long as I was working out – this proved to be a very wrong conception! I saw my weight soar to a disappointing 70kgs, I became a very unhappy and unconfident person, which was not me at all. In May 2012 I decided to try really hard with my diet and exercise and lost 3kgs on my own. After speaking to a friend who was seeing Shannon I decided to make an appointment – his passion, expertise and knowledge was astounding! Since my first appointment, I have learned so much about nutrition and training, and as my body continues to change and improve, I continue to learn more. Knowledge is definitely power! I have lost 13kgs of body fat while still increasing muscle mass and a total of 47.5cm – which has allowed me to become such a happier and determined person. My training days have decreased and I’m sleeping better too. I appreciate my body and food so much more now, and love that I can eat more and weigh less! 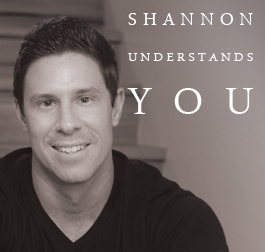 I cannot thank Shannon enough for his help in making me realise that this is a lifestyle, and for being a constant source of support, answering my millions of questions almost immediately via email whenever I’m unsure about something. I highly recommend seeing Shannon if you want results.